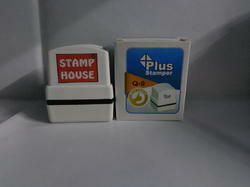 Manufacturer of a wide range of products which include plus stamper pre ink stamp mount and sun pre ink stamp mount. After establishing ourselves as leading company in this industry, we are able to offer you an extensive range of Plus Stamper Pre Ink Stamp Mount to our patrons. High quality material and compact design gives these product maximum print impressions on documents. Our Company is one the eminent firm committed in offering wide range of Sun Pre Ink Stamp Mount to our valued clients. This stamp is suitable for documentation and stamping important documents and our customer can avail this in different colors.